Road crews work while traffic speeds by mere feet or even inches from their work area. 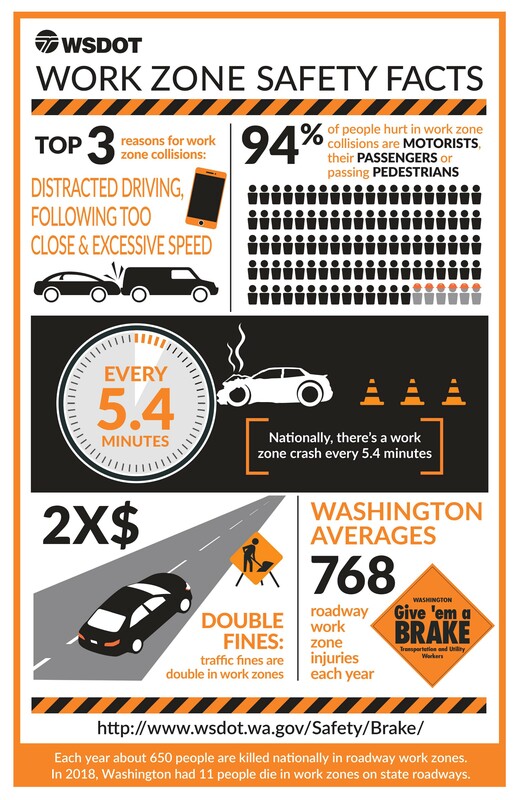 The top three reasons for work zone collisions during 2019 was distracted driving, following too closely and excessive speed. 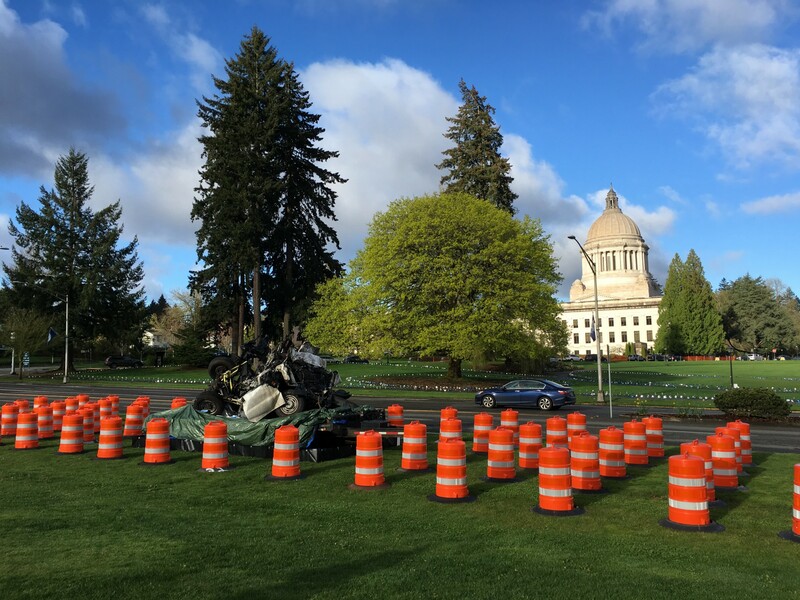 Washington averages 768 roadway work zone injuries a year. Inslee supports WSDOT’s efforts and encourages drivers to slow down and take caution. Kris Rietmann, WSDOT communications director, said even though most work zone crashes are easily preventable, it’s hard to find a crew that hasn’t experienced an injury or numerous close calls. During 2018, 11 fatal crashes occurred and 1,498 people reported collisions either in a work zone or in a related traffic back-up. 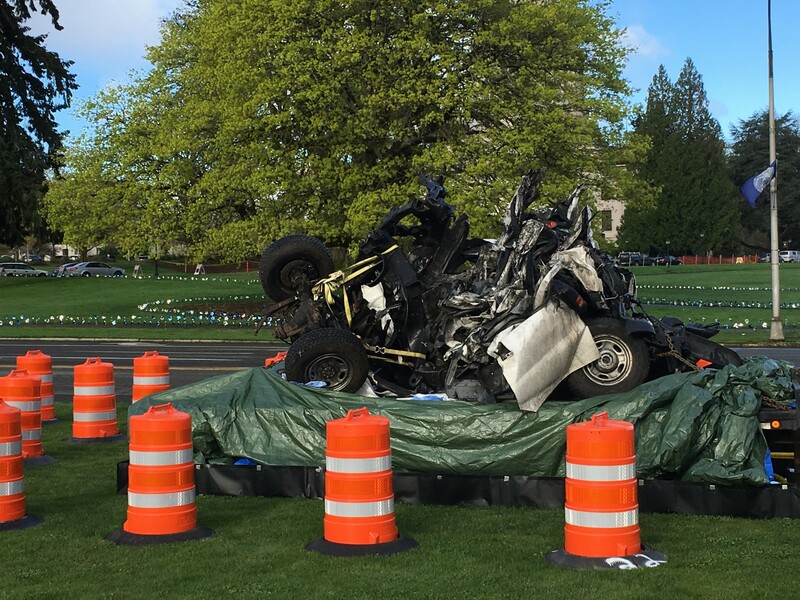 WSDOT set up a safety display on the Capital Campus that shows a demolished truck that got hit by a semitruck in a work zone this past March. No one died but the truck serves as a grim reminder of the dangers that road crews face. Slow down — Drive the posted speeds because they exist for your safety. Be kind — Our workers are helping to keep you safe and improve the roadways. Pay attention — Look out for the workers directing you through traffic and pay attention to how you can safely navigate surrounding traffic. Stay calm — Drivers need to expect delays and leave early or take an alternate route, if possible. Remember, no meeting or appointment is worth risking someone’s life.